Sweedish Pop overlord (overlady?) Robyn has unveiled the first track from her long hinted at side-project La Bagatelle Magique (French for ‘the magic trifle’). 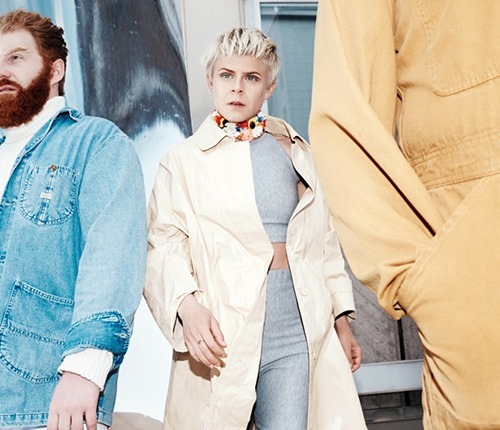 The outfit is comprised of Robyn, Markus Jägerstedt, and the late Christian Falk and they have released their first official song along with New York based artist Maluca. It’s called Love Is Free and you may have heard this one live if you were lucky enough to catch Röyksopp & Robyn’s recent Do It Again tour. Currently Annie Mac’s Hottest Record, Love Is Free is an 90s Rave monster. A seemingly disparate orchestra of low key piano and synthetic squeals that this trio meld into a compelling whole. Riding over a kinetic beat and pleasingly nostalgic synth bass, the track, alongside Robyn’s chanted vocals and Maluca’s eclectic flow, is insanely catchy and one of those tunes that just puts a smile on your face and a shuffle in your feet. Robyn & La Bagatelle Magique’s Love Is Free is out now.